You can find this 2018 Volkswagen Atlas 3.6L V6 SE and many others like it at Kendall Volkswagen of Bend. When you purchase a vehicle with the CARFAX Buyback Guarantee, you're getting what you paid for. Want more room? Want more style? This Volkswagen Atlas is the vehicle for you. This Volkswagen Atlas 3.6L V6 SE comes equipped with all wheel drive, which means no limitations as to how or where you can drive. Different terrains and varying weather conditions will have little effect as to how this vehicle performs. There is no reason why you shouldn't buy this Volkswagen Atlas 3.6L V6 SE. It is incomparable for the price and quality. This 2018 Volkswagen Atlas 3.6L V6 SE is proudly offered by Kendall Volkswagen of Bend Your buying risks are reduced thanks to a CARFAX BuyBack Guarantee. Treat yourself to an SUV that surrounds you with all the comfort and conveniences of a luxury sedan. This Volkswagen Atlas features AWD. That means power and control delivered to all four wheels for maximum grip and improved handling. There are many vehicles on the market but if you are looking for a vehicle that will perform as good as it looks then this Volkswagen Atlas 3.6L V6 SE is the one! This 2018 Volkswagen Tiguan SE is offered to you for sale by Kendall Volkswagen of Bend. The Volkswagen Tiguan is the benchmark all other SUVs strive to meet. With exceptional power, towing and handling, this SUV can handle anything thrown at it. This Volkswagen Tiguan features AWD. That means power and control delivered to all four wheels for maximum grip and improved handling. Just what you've been looking for. With quality in mind, this vehicle is the perfect addition to take home. The look is unmistakably Volkswagen, the smooth contours and cutting-edge technology of this Volkswagen Tiguan SE will definitely turn heads. Contact Kendall Toyota of Bend today for information on dozens of vehicles like this 2004 Jeep Liberty Sport. This 2004 Jeep Liberty comes with a CARFAX Buyback Guarantee, which means you can buy with certainty. On almost any road condition, this Jeep Liberty Sport offers solid performance, reliability, and comfort. At home in the country and in the city, this 2004 4WD Jeep Liberty Sport has been wonderfully refined to handle any occasion. Smooth steering, superior acceleration and a supple ride are just a few of its qualities. With less than 122,500mi on this Jeep Liberty, you'll appreciate the practically showroom newness of this vehicle. Contact Kendall Toyota of Bend today for information on dozens of vehicles like this 2004 Cadillac Escalade . The Cadillac Escalade is the benchmark all other SUVs strive to meet. With exceptional power, towing and handling, this SUV can handle anything thrown at it. Quality and prestige abound with this Cadillac Escalade. No matter the varying terrain or weather conditions, this all-wheel drive vehicle will help you reach your destination safely and securely in a well-appointed cabin with many features found on cars twice the price. One of the best things about this Cadillac Escalade is that it has low, low mileage. It's ready for you to truly break it in. Kendall Volkswagen of Bend is honored to present a wonderful example of pure vehicle design... this 2015 Honda CR-V EX-L only has 43,000mi on it and could potentially be the vehicle of your dreams! This vehicle is loaded with great features, plus it comes with the CARFAX BuyBack Guarantee. Treat yourself to an SUV that surrounds you with all the comfort and conveniences of a luxury sedan. You could spend more on fuel each month than on your vehicle payments, so why not consider one with exceptional fuel economy like this 2015 Honda CR-V. Once you see this Honda, you'll quickly see that this is the perfect vehicle for the outdoor junky! You'll even feel relaxed knowing that this All-Wheel drive vehicle will get you to where you are going no matter what may come your way. Also, with this Honda CR-V's dependable control you'll be able to drive into the sunset without a care in the world! Low, low mileage coupled with an exacting maintenance program make this vehicle a rare find. More information about the 2015 Honda CR-V: Honda has a successful formula for their compact SUV and they see little reason to deviate too much. All CR-Vs come with a capable 4-cylinder engine, a cleverly designed interior and compact exterior dimensions. This is all wrapped up in attractively designed sheet metal and sold with available all-wheel drive at a competitive price. While some competitors have allowed their vehicles to balloon in size, features and price, Honda has steadfastly stuck to the winning formula that has made every generation of CR-V a success. Interesting features of this model are well-equipped, Practical, and available all-wheel-drive. 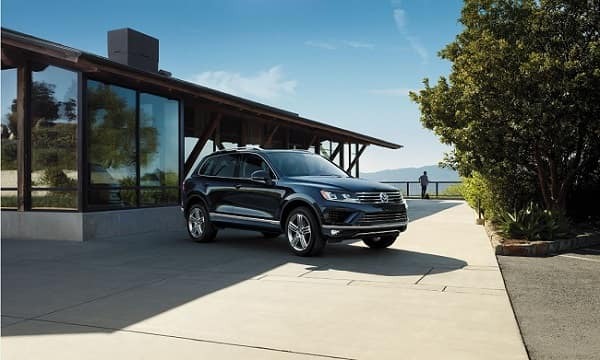 At Kendall Volkswagen of Bend, we know not everyone has room in the budget for a new Volkswagen SUV. This is why we offer a sizable inventory of affordable used SUVs for sale in Bend. You can shop our assortment of used Volkswagen SUVs, as well as a variety of SUVs from a number of automakers. With a host of options, we’re sure you’ll find something that catches your eye at our Bend used SUV dealership. We also happily serve the Prineville, Madras, and Terrebonne areas. While you’re here, visit our Volkswagen Finance Center and let our financial experts help you apply for a Bend auto loan. Or, you can save yourself some time at your used SUV dealer in Bend and apply for financing ahead of time using our online finance application. You can also apply for a free car appraisal to find out the trade-in value of your current vehicle by filling out our trade-in form. Not sure what style or size used SUV is best for you? Come by our Bend used car dealership today and let our experts help you shop our inventory of used SUVs for sale in Bend. We have something for every lifestyle, budget, and family size. Are you looking for something equipped to handle tough off-road terrain surrounding Bend, or are you looking to easily navigate Oregon winters? Shop our selection of used SUVs equipped with AWD and 4WD, which will make anywhere you want to go easily accessible. If you’re in the hunt for a small SUV, take one of our sporty crossover SUVs for a spin. We’re sure you’ll love the way they handle. If you need more cargo space for your weekend getaways, a full-size SUV could be just the thing for you. Make sure you take the time to browse our 7-passenger SUVs that come equipped with a third row for extra seating, as well. 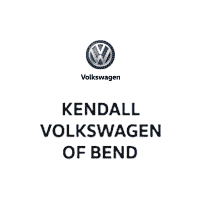 No matter if you’re in the market for a compact SUV, midsize SUV, or full-size SUV, Kendall Volkswagen of Bend is the Bend used SUV dealer you’ve been looking for. Contact us online or come by today to shop for your next used SUV for sale in Bend. We appreciate your interest in our inventory, and apologize we do not have model details displaying on the website at this time. Please fill the form out below and our team will quickly respond, or, please call us at (855) 606-0615 for more information.